It seems like there are a million things to do (and buy) when you find out you’re pregnant. But, what do you really need to do? It seems like there are a million things to do and new decisions to make once you find out you’re pregnant – especially if you are expecting your first baby. You may be looking into every possible outfit, bassinet, and swing. But, there are some bigger things to do to have a healthy and balanced pregnancy and birth. Start by outlining your plans with these ten important things to do once you find out you are pregnant. I am not just talking about baby swings. Research parenting styles. Research sleep options (cosleeping, bedsharing, Moses baskets, cribs, and more). And, research birth like your life depends on it, because here in the U.S., it does. The U.S. has the worst maternal death rate in the developed world, so know your options. Documentaries like Business of Being Born and Pregnant in America can help you get started, but you should also reach out to your local birth community and become acquainted with your options before choosing your provider or birth location. Start with: Some topics to begin your research are doula, midwife, homebirth, birth interventions, natural birth pain management, Hypnobirthing, The Bradley Method, delayed cord clamping, and natural birth. You’re eating for two now, so it’s time to get serious. Each birth takes about two to three years to replace the nutrients used up, so help out your body and eat well to lose less nutrients. Focusing on omega 3’s and other healthy fats, loads of grass-fed protein, fresh fruit and raw vegetables, and time-tested pregnancy staples like dates, eggs, and blackstrap molasses should be a goal from day one of pregnancy. Be sure to get at least 8 cups of filtered water per day. Start with: Weston A. Price Foundation and Nourishing Traditions recipes, organic and grass-fed dairy, eggs, protein and plants, filtered water. It may seem early, but it’s never to early to determine what type of birth you want and be sure that you get it. Most midwives, physicians and doulas book up quickly, so you don’t want to wait past the 12 week mark to get planning. Once you research what type of birth you want, plug into your local natural birth community and ask for referrals. Shop around, and pick the right physician and doula for you that is the perfect mix of knowledge and connection. Start with: a birth plan, physician or midwife, doula, birth kit, prepare your birth space. You’re about to embark on the long journey of motherhood, and as your belly grows, your interest in doing work will lessen. If you have projects to complete, finish them early on. If you have furniture to prepare for baby, do it now. Complete tasks which include heavy labor now, before you are no longer able. It’s important to allow enough time for your body to relax, as well as your mind, at the end of pregnancy in preparation for birth. So, get all the hard work done as soon as you can. Start with: preparing your home and room for baby. It’s okay to have a lying in period before the baby comes, in fact, it’s healthy. It is possible to harm the ligaments surrounding your uterus supporting your baby, so leave the heavy lifting to your partner. Make your health a priority – book sessions of prenatal massage, yoga, or spend ample time in prayer and meditation. The few months after birth will be hectic and you will be low on sleep – now is the time to fill up your tank before delivery. Start with: planning a weekly to-do just for yourself; prenatal massage, yoga, walking group, or nail appointment. As you prepare your baby registry and let friends and family know how they can help, be sure to be specific and only ask for what you need. Those around you love to help out, but getting another baby accessory you don’t really want only creates more work for you. Have a list handy of exactly what you want, and let others know if you do not need another [enter typical baby item here]. Start with: a detailed baby registry, and setting the standard that unwanted gifts are…well, unwanted. It truly does take a village to raise a child, so don’t go it alone, mama. Set up a strong network of help after delivery – a postpartum doula, a meal train, a specific instruction list of help or tasks for family and friends, and a group of natural-minded moms who get it, and can listen when you need an ear, or who can drop off a natural remedy. Early pregnancy is a great time to find your mommy friends – a Facebook group, La Leche League meeting, your doula or midwife, or Attachment Parenting groups are all good places to start. Start with: a postpartum doula, meal train, instruction list of help needed for after baby arrives, natural mama friends and community. 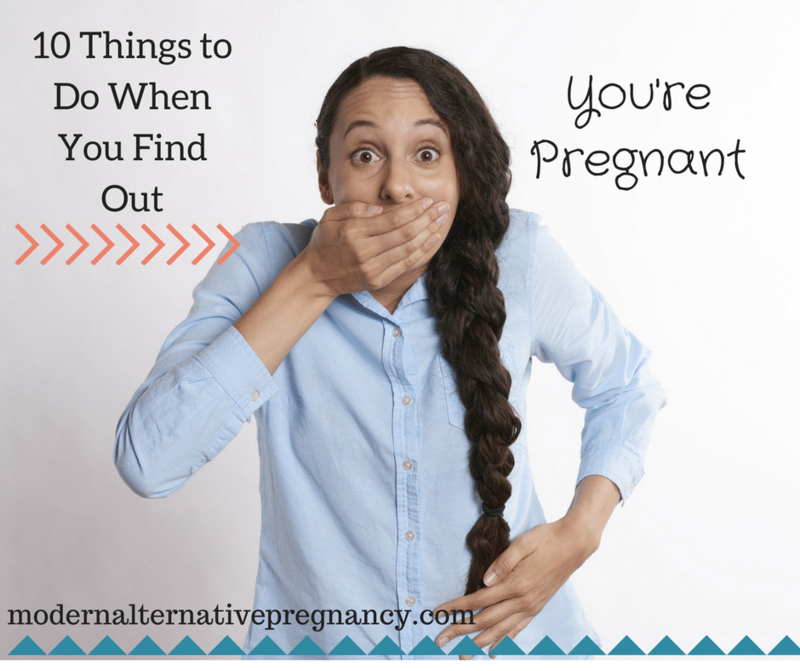 Most of pregnancy check lists focus on what to get, but I am telling you to focus on what to get rid of. You may have accumulated a lot of baby stuff through baby showers, gifts, or other pregnancies, or you just may need to tidy up your home. Either way, after delivery is not the time to reorganize. After you decide exactly what items you need, get rid of the ones you don’t and make space in your home for the onslaught of toddler toys that may find their way into your home in just a few years. Start with: reviewing your furniture and space, especially the baby stuff, before delivery. You deserve a special trip with your significant other (or by yourself!) before the baby arrives, so plan it. It may be a weekend at a nearby cabin, or a beach get-away. Whatever it is, plan it now, and look forward to it. Planning a baby moon around 25-28 weeks allows you enough time before the baby arrives and before you are too round to still enjoy yourself. Start with: planning your baby moon. After your baby moon, you will want to get the last few things you need for baby and then settle in. 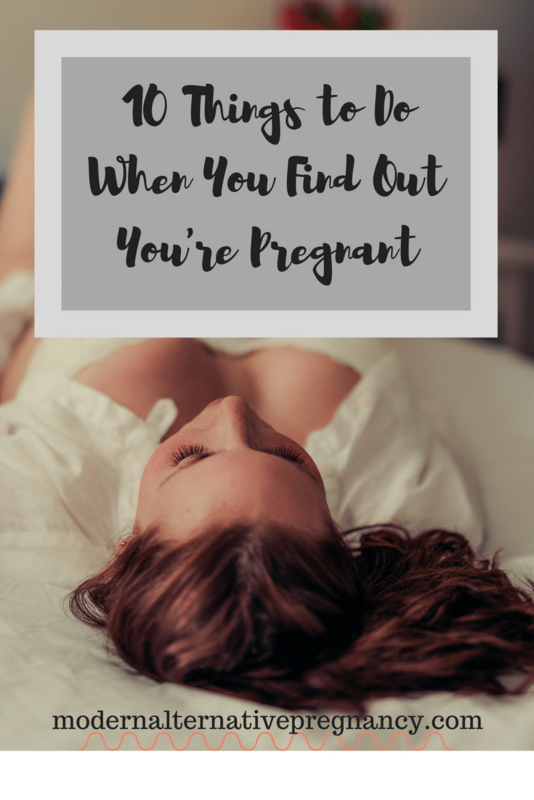 Hopefully you’ve planned out your birth and home up to this point that you can fully rest the last few weeks of pregnancy, because you won’t feel like doing much more than that anyways. Let your friends and family know that you don’t plan to leave the home for a set number of days, and equip them with a list or special instructions with how they can help you. It’s okay to gently let those around you know that uninvited visits during the first few weeks after birth aren’t welcome. Guard your sleep like it’s a treasure. Start with: planning your pregnancy so you can rest at the end. This may not the be the most traditional pregnancy checklist. I know most focus on which baby highchair to get, how many rockers you’ll need, and the latest baby styles, but planning to have a healthy pregnancy and birth is truly your top priority. Do your research, be confident in your needs, and plan to rock your birth and postpartum days! What did you get when you found out you were pregnant? Thanks for this. Our babies are indeed a gift from God just so right to prepare taking care of them even before they come out of this world.